Alexandra Family Villa i Negombo, Sri Lanka: Reservér nu! Alexandra Family Villa is a new property and it is managed by a Sri Lankan family . It provides 24 - hour front desk for the convenience of the guests . 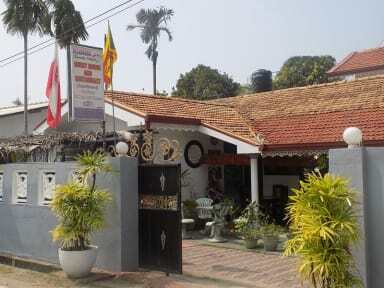 The villa is located just 200 metres from the famous Negombo Beach and 8 km from Colombo Bandaranaike International Airport .Transfer from/to the airport is available on request. Alexandra Family Villa offers clean and elegant air-conditioned and non air-conditioned rooms , satellite TV in lobby, en suite bathrooms with showers and free WiFi access in rooms and in all property . Very friendly and helpful owners. They arranged our 4 day trip from Negombo to Trincomalee at a good price and we had a very nice driver. The breakfast was very good and Srilankan and we had plenty of it. Would definitely recommend this. In general we had nothing to complain about.